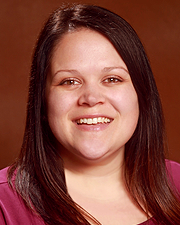 Jessie Fisher graduated from Samuel Merritt University in Oakland, California with her Master of Physical Therapy in 2000, and has been practicing in the Reno/Sparks area since. She has been working in the outpatient therapy setting since 2002, with a focus on orthopedics. Jessie is an Orthopaedic Certified Specialist, a designation by the American Board of Physical Therapy Specialties which demonstrates an advanced level of knowledge in the evaluation and treatment of orthopedic patients. She was trained in the Maitland approach, as well as various other manual techniques including strain counterstrain and the McKenzie approach (Mechanical Therapy and Diagnosis). She is also one of the few therapists in the area to be certified in the LSVT BIG program that specializes in the treatment of Parkinson’s patients. Jessie also has an added interest in sports medicine, and has experience working with NCAA Div 1 athletes, endurance runners and triathletes. She has assisted Spanish Springs High School with their pre-participation screens and athlete physicals. She has participated in numerous cycling, running and triathlon events. 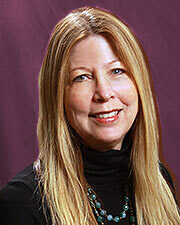 Nancy Brick-Goodman has 30 years of experience as a communication therapist. 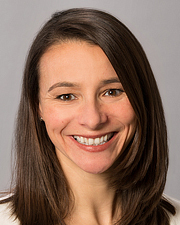 She has comprehensive experience in rehabilitation of individuals with speech, language, swallowing and cognitive deficits following strokes and head injuries. She also has extensive experience in the evaluation and treatment of cognitive deficits seen in dementia and other progressive neurological diseases. She educates clients and their family members in development and training of compensatory strategies for early memory loss seen with these diagnoses. She also provides therapy for post laryngectomy clients. Charlene Challenger-Smith graduated from Marquette University with a Master of Physical Therapy in 2003. While at Marquette University, she also became a certified athletic trainer. Charlene went on to further her specialty in sports graduating from Proaxis Therapy's Sports Residency Program in Greenville, South Carolina. She received her Sports Clinical Specialty Certification in 2008. 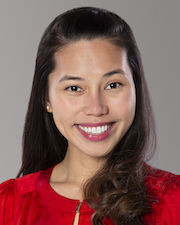 Following specialization, Charlene worked as a physical therapist for Proaxis Therapy and became a clinical faculty member within their residency program from 2010 — 2014. Charlene joined Northern Nevada Rehabilitation and Sports Medicine Center in January 2018. Though Charlene treats all types of musculoskeletal injuries, she specializes in treating the endurance athlete and in treatment of the lower extremity. Charlene uses an evidence-based approach in conjunction with emphasis on manual therapy skills and movement pattern re-education. She enjoys mentoring and collaborating with fellow therapists to improve her clinical skills and knowledge. Charlene is passionate about helping her patients and athletes meet their full potential by improving how they move to both decrease their risk for injury and improve their efficiency, economy and performance. In her spare time, Charlene enjoys training for triathlons and spending time with her husband, Jesse, and their dog Callie. Chris Kegler earned his Doctorate of Physical Therapy Degree at Western University of Health Sciences in Pomona, California in 2011; however, he is proud to call Northern Nevada home as he earned his undergraduate degree from the University of Nevada in Reno, Nevada in 2005. Throughout his career, Chris has practiced and treated patients in the outpatient setting, as well as home health and skilled nursing. His primary focus is to empower the patients to take health into their own hands with proper education and guidance. Chris uses an evidence-based approach with the use of manual and functional interventions to normalize movement into pain-free ranges. 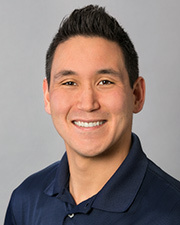 In addition, as a Certified Strength and Conditioning Specialist, he plans to assist athletes of all ages avoid injury and continue activities they love to do. Tifanee Calawod graduated from Emilio Aguinaldo College in the Philippines in 2009 with her Bachelor’s degree in Occupational Therapy where she was the winner of the best thesis award. She has been practicing in Nevada since 2011 focusing on functional rehabilitation for patients with neurologic deficits. Her goal is to empower her patients to achieve their highest level of functional mobility and activity of daily living performance through adaptation, compensation, and education. 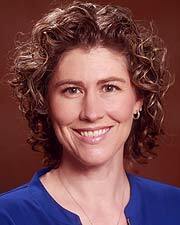 Heidi Streeter graduated from Indiana University — Purdue University Indianapolis with a Doctorate in Physical Therapy in 2008. She practiced in Central Illinois for six years with a focus in outpatient orthopedics and aquatics. She returned home to Nevada in 2013 and has been treating patients in outpatient orthopedics with a recent focus in post-surgical rehabilitation and workman’s compensation. Heidi is trained in McKenzie Mechanical Diagnosis and is certified in assisted soft tissue massage (ASTYM). She is a Certified Functional Evaluator. She is also one of the few therapists in the area to be certified in the LSVT BIG program that specializes in the treatment of Parkinson’s patients. Heidi’s therapy philosophy is to combine manual therapy techniques with corrective exercise to gain optimal function for her patients. 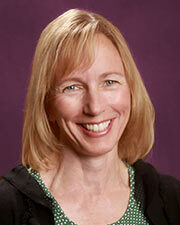 Jeanne Wontkowski graduated with a Masters of Physical Therapy in 1993 from Oakland University in Rochester, Michigan. After graduate school, she participated in a three year residency program in Norwegian Manual Therapy specializing in spine and joint mobilization. She has practiced in Michigan and Indiana before moving to Reno in 2000. Her primary focus through the years has been outpatient orthopedics, sports medicine, manual therapy, and aquatic therapy. She enjoys helping and learning from patients of all ages from children to seniors.